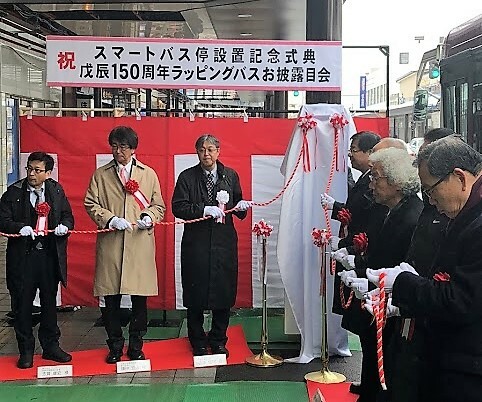 The project is administered by Aizu Riding Car Development, a consortium initiated by Michinori Holdings, operator of the Aizuwakamatsu bus service, Aizu Bus. Michinori is working alongside NAVITIME, KDDI Corporation, Toppan and Weathernews Corporation. 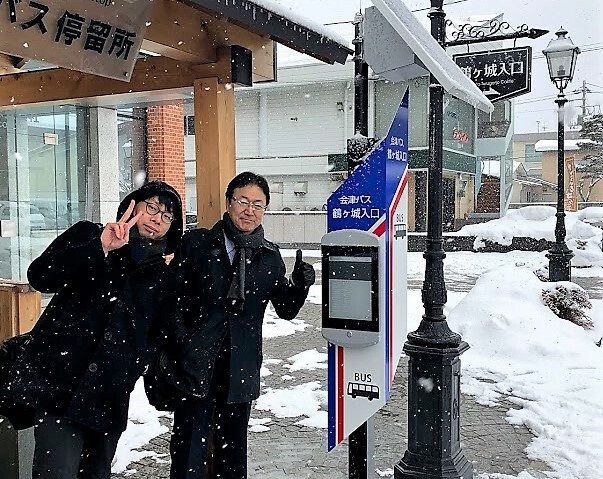 In Japan, there are 500,000 bus stops nationwide, and nearly 90% have no power supply – making an off-the-grid, cost effective installation a prerequisite in this project. 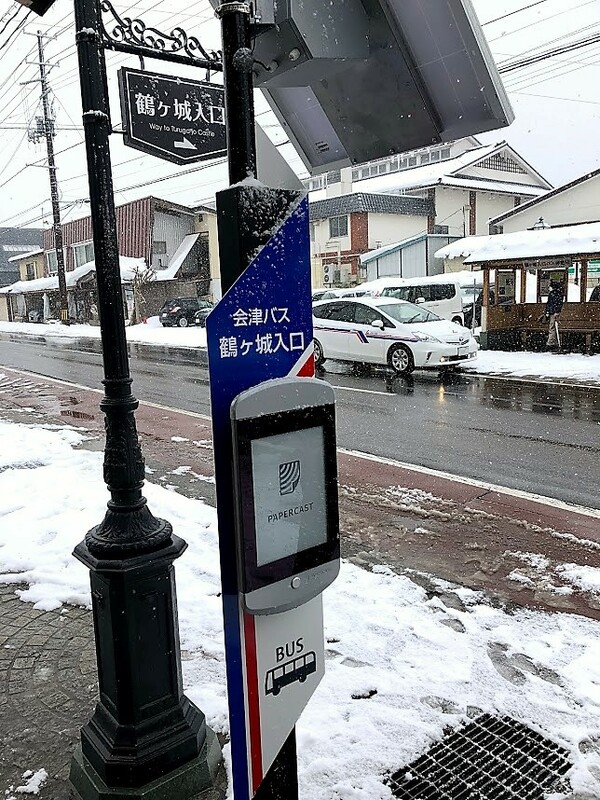 By combining E Ink low power display technology with low power, wide area (LPWA) wireless technology, the bus stop displays can be easily installed using solar power only – without power and network cables. 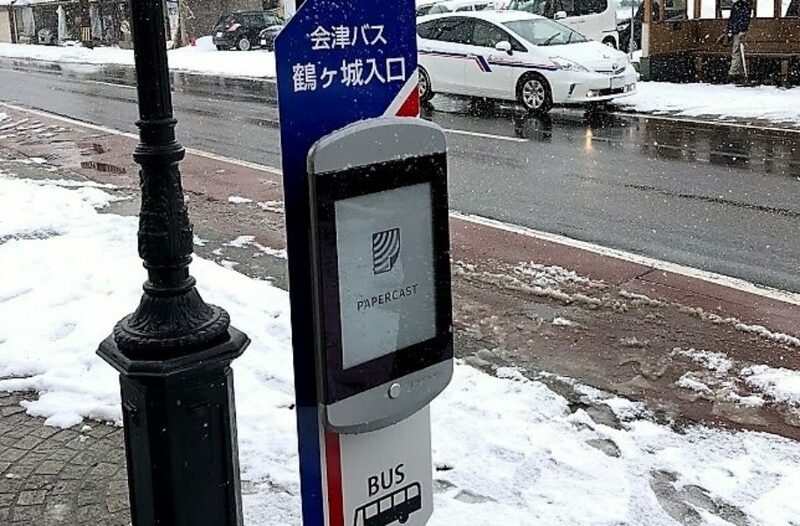 “Providing this information in real-time to bus stops will improve the customer experience, remove barriers to usage and ultimately increase ridership among both residents and visitors alike,” adds Rado.